The date I have written here is 2014, and I am pleased that I remembered. 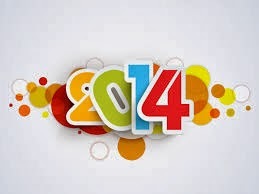 With all honesty, this was the major change that “the new year” represented for me. But I have no desire to be insensitive: And so, I thank all who wrote to wish me a good new year, and extend the same wishes to all of you. Mostly, however, I extend these wishes on a personal level: may each of you have health, loving family and friends, satisfying work, secure income. For the world, I have enormous unease. Certainly no balloons or fireworks. Only prayers: May Heaven help us. This will be a beginning of the resumption of writing, with more to follow. I take a look at what is transpiring here, and what has been happening over the last few days, and I am overwhelmed by the stupidity, the emptiness, the immorality of the goings-on. Indeed, Heaven help us. Late at night on the 31st of December, Israel released 26 murderers of Jews, terrorists who were in Israeli prisons since before Oslo, but whose terms had not been completed. This sparked an enormous sense of grief in the nation, a grief that, quite frankly, left me carrying unshed tears: it should never have been allowed to happen. Our prime minister spoke about honoring commitments already made. He didn’t convince me. 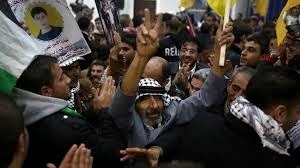 They celebrated mightily at the president’s compound in Ramallah after their release. But did Abbas express gratitude for this? Of course not. Silly question. He declared that there would be no “peace deal” until every last vile, scummy, sub-human terrorist was released from our prisons. He gained this much, why not shoot for the whole thing? Maybe Kerry would be able to get this for him. They were let go as part of what is supposed to be a “confidence building measure,” which is pathetic. They were released, as I have indicated previously, because of major pressure from the US, and for no other reason. Abbas demands this because it increases his very meager support among the Palestinian Arab people. It is a popular move, which tells us a whole lot about the Palestinian Arab people. And Kerry? He’s so eager to get Abbas to the table he would agree to many outrages. What I have learned is that a handful of the prisoners let out last week had Jerusalem residency cards and were released to eastern Jerusalem. This is exceedingly troubling. According to Arab sources, the last batch of prisoners will include some eight with Israeli citizenship. This is unacceptable twice over. If Abbas wants “his” murderers released, that is bad enough, but it is one thing. Asking us to release Israelis who murdered other Israelis and were tried in Israeli courts in something else and should not be tolerated under any circumstances. They fall under Israeli jurisdiction exclusively and Abbas should have nothing to say about them. Last Thursday, a contingent of 15 MKs and Ministers representing all the parties of the coalition except Livni’s Hatnua visited the Jordan Valley in protest against Kerry’s plans for removal of civilians from the Jordan Valley, and in solidarity with the people there. This visit, organized by Orit Strook (Habayit Hayehudi), chair of the Land of Israel caucus in the Knesset, included Deputy Foreign Minister Ze’ev Elkin (Likud); Coalition chairman MK Yariv Levin (Likud); Deputy Minister of Transportation Tzipi Hotovely (Likud); and Interior Minister Gideon Sa’ar (also Likud). What I note about Sa’ar in particular is that he is number two on the Likud list and close to Netanyahu. 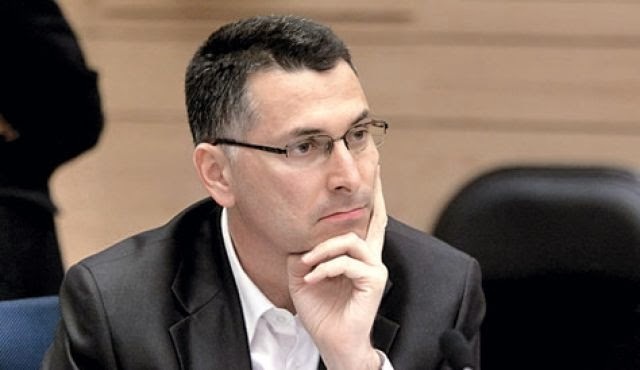 It is my contention in situations like this that Netanyahu runs a tight ship in his party and that someone like Sa’ar would not be doing what he is without a quiet nod from the prime minister. Netanyahu seems to be letting others speak out in a way that he himself is not doing, quite possibly with the intention of allowing a situation to develop that permits him to tell Kerry his party won’t stand still for certain concessions. While the emphasis was on the Jordan Valley, because of Kerry demands – with Sa’ar saying, “The question is, where will Israel’s eastern border be? At the Jordan River or God forbid, near Netanya or Kfar Saba,” and Elkins pointing out that Prime Minister Rabin “was not willing to let go of the Jordan Valley” – there was also important talk about the retention of all communities in Judea and Samaria. This, my friends, is the bottom line. Even Netanyahu, (see the JPost article cited above) made a statement about not being very optimistic about the PA’s sincerity about peace. You think? He alluded in particular to PA incitement and celebration of terror. Ahmed Tibi, an MK with the party, was an advisor to Arafat and remains close to Abbas (which leads to questions about how such a man is allowed in the Knesset, but that is for another day). Tibi, in interview with Al-Monitor, said that he speaks with Abbas “a lot,” and that Abbas will never settle for less than Jerusalem (he didn’t say “east”) as the capital of a Palestinian state, and insists that not a single IDF soldier would be permitted on Palestinian land. This is not new, but so much for Kerry’s suggestion about fleshing out the tough hurdles. Other than the contentious issue of control of the Jordan Valley, I have no solid information on what Kerry is trying to sell or how detailed his framework is. Some reports indicate that he is still aiming for a final agreement by April, while others report that this is his way of making it possible for negotiations to continue after April. The area remains on fire all about us, and there is much to be examined in days ahead. A great deal of the violence we are seeing is Sunni-Shia, in one guise or another. Technorati Tag: Israel and John Kerry and Jordan Valley and Peace Talks.